Photo by thebuildup from the Torontoist Flickr pool. If you ever want to rustle a real estate agent’s jimmies, then all you need to do is mention the municipal land transfer tax. 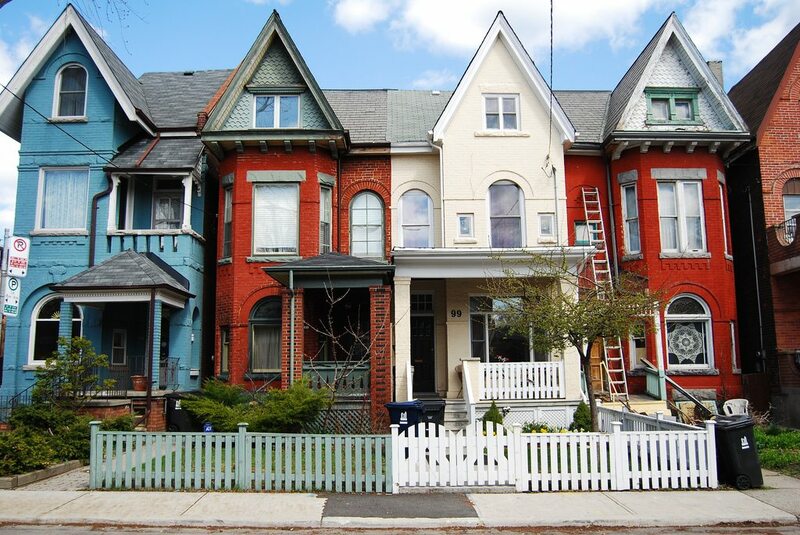 First implemented in 2008, the tax on Toronto real estate transactions is greatly disliked by the real estate industry. But it’s also an increasingly vital part of the City’s precarious budgeting act. Here’s how the land transfer tax works, why some people are hopping mad about it, and why it’s not going away. Torontonians are occasionally guilty of a champagne taste on a beer budget. Partly it’s because we want expensive, world-class things, like subways, while preserving our storied Orange Order thriftiness. But it’s also because provincial legislation limits the ways the City can raise revenue. 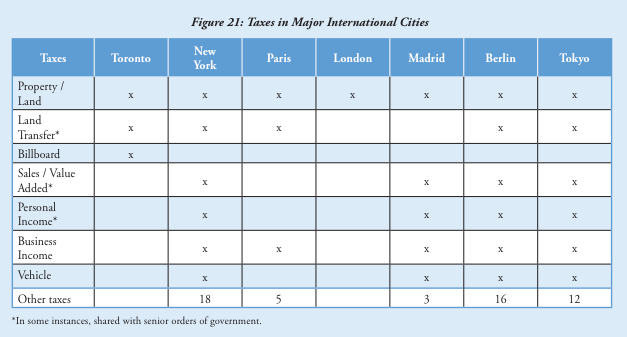 Unlike other major North American cities, Toronto is prohibited from taxing income, fuel, or sales; nor can we tax hospitals, school boards, or colleges and universities. and the star of today’s show, the municipal land transfer tax, or MLTT. Toronto’s lack of revenue tools creates significant funding constraints, and makes it more difficult for the City to adequately fund pricey portfolios like transit and social housing. These responsibilities, combined with a lack of money from other orders of government, create additional pressure on the few revenue sources that the City has available to it and uses. Unsurprisingly, real estate agents have led the charge against the MLTT, arguing that the added tax keeps property sales down and prices people out of the market. This line of thought is also popular with politicians whose highest calling is to save middle-class homeowners money, not to mention the homeowners themselves. So come budget time, it’s customary for people to make grumbling noises about scrapping the MLTT. It’s still not going to happen. 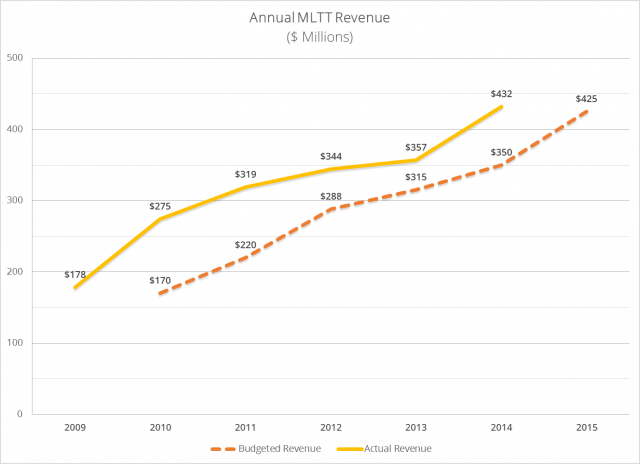 While final numbers for 2015 aren’t in yet, based on year-to-date revenue we can assume that, once again, MLTT revenue is higher than expected. 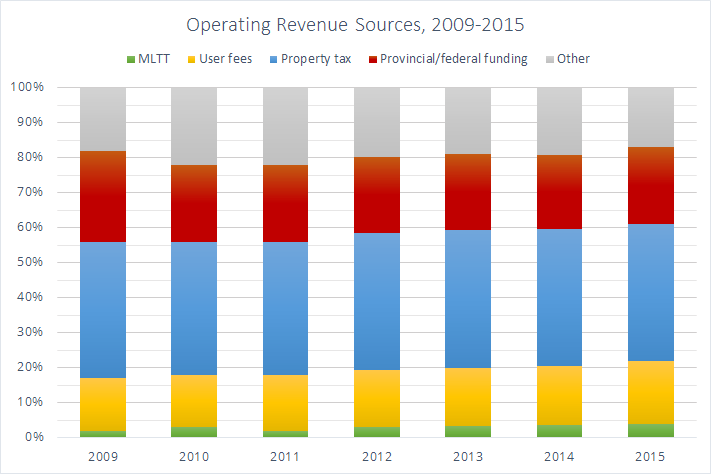 The MLTT currently contributes four per cent of the City’s operating revenue, which may seem like small potatoes. However, it would still be incredibly difficult to replace. $430 million is equivalent to a 15 per cent property tax revenue increase—a complete non-starter for a council that balks at three per cent.